Welcome to the Hotel Beacon NYC a haven of comfort amid the bustling excitement of New York City. Located on the historic Upper West Side amid tree-lined streets and landmark buildings the hotel is a beacon for relaxation. Friendly and accommodating we offer handsomely decorated oversized guestrooms and suites. With wonderful views of Central Park the Hudson River and Midtown Manhattan the Beacon is the perfect vantage point from which to venture anywhere in New York. And when your busy day is done youll have a perfect place to come home to. The Hotel Beacon NYC is the official hotel of the Beacon TheatreStayover after the show. The Hotel Beacon NYC is located adjacent to the Beacon Theatre. 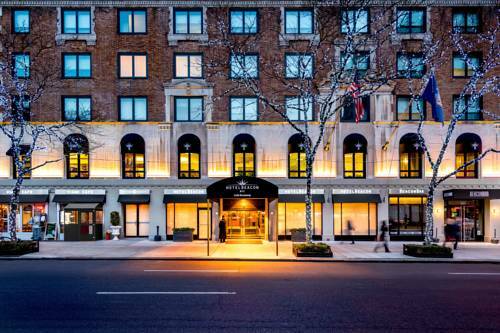 Hotel Beacon is located in one of New Yorks most desirable neighborhoods the Upper West Side.